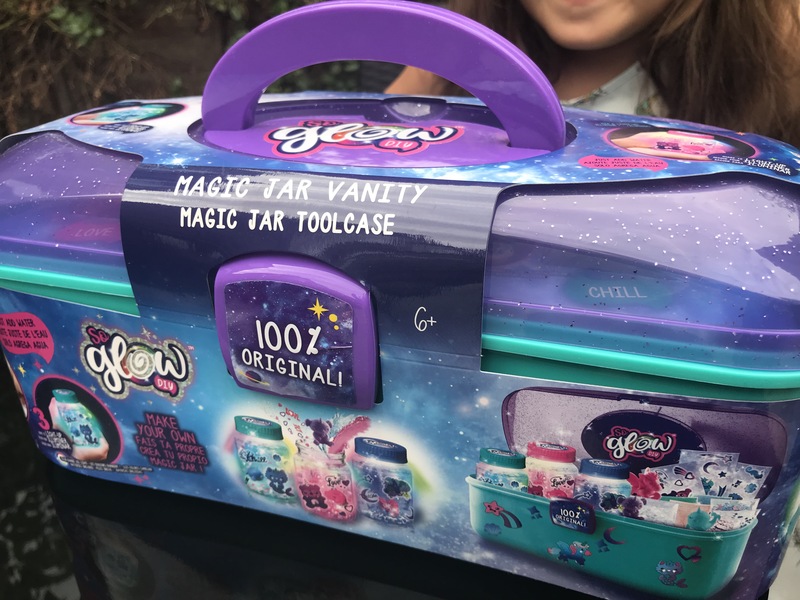 A hot new toy is on every parent’s radar on the run up to Christmas and the So Glow DIY range may well be one of those hits this year! 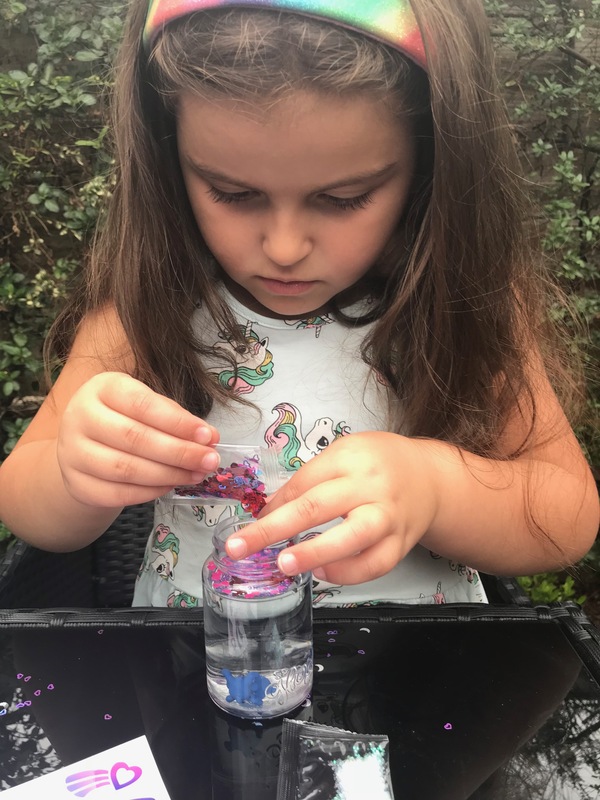 The rage is described as simple and mess free, and allows children to create and customise their own colourful light up jars, so we asked three of our writers with young children to put them to the test! 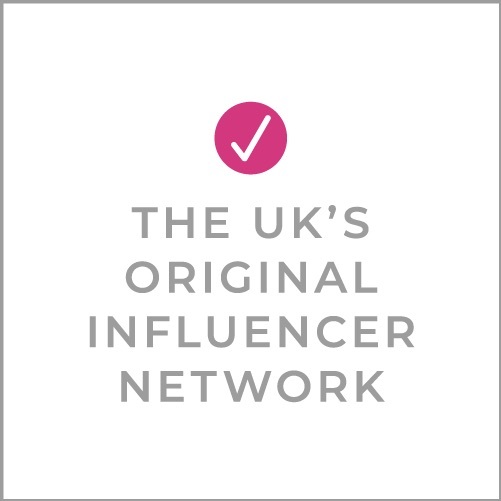 Annette Demetrio from the 3 Little Buttons blog shares her thoughts. As Autumn has started to sneak up on us, my little one has definitely been reaching for her nightlight more often in the evenings. There’s something so comforting and cozy about watching the glow. But how about the excitement of watching the glow from a magical glow jar that you have created yourself! Even better right? That’s what we thought when we tried out this So Glow DIY Magic Jar Tool Case. The case comes fully packed with everything that you need to create 3 magical glow jars. Aimed at 6 year olds and over, it’s definitely something that little ones can get stuck into themselves, with a bit of adult supervision. 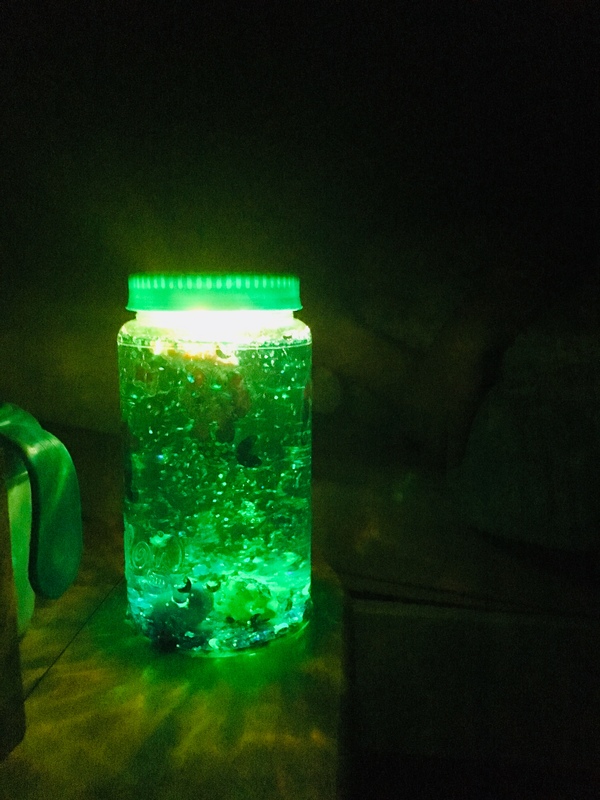 Each glow jar is themed around a mood. There are 6 to collect, and inside our case we found ‘love’ (pink) ‘chill’ (green) and ‘dream’ (blue) to create. 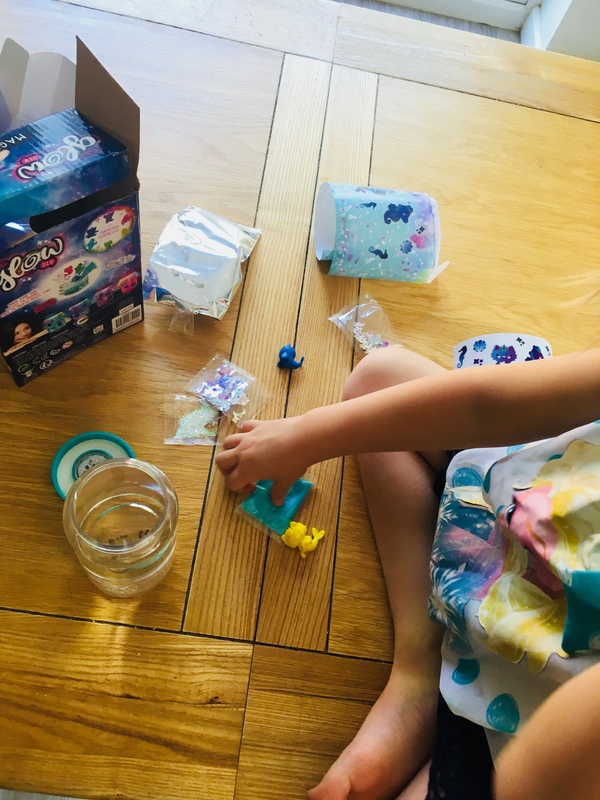 Each jar comes with it’s own blind bag to open, something that my little one can’t get enough of, so it was an instant hit right from the start. She gleefully ripped open all three blind bags *nothing was going to stop her! And inside were the cutest little bags of glitter, confetti and a coloured magical powder. As well as themed stickers to decorate the glow jars with, and a little coloured figurine. As per the box instructions, my little one (almost 6 years old) carefully measured out the water, popped in the figurine and sprinkled in the various sachets to the jars on her own. A secret button on the inside of the jar lid needs to be pressed to activate the LED motion sensored light. And once the lids on tight, a quick shake will have your jar glowing beautifully. They were really fun to put together and the instant result after creation will go down well with the younger ones. The glow only lasts for about 10 seconds each shake, but the effects are beautiful. A bit like a glow in the dark snow globe. Except much more child friendly! The So Glow DIY Magic Jar Tool Case would make a lovely gift for any glitter loving little one aged 6 years and over. My kids are still at the age where they have some belief in magic and the power of wishes. Long may it last, I say. Give them colour and sparkle and they are in seventh heaven. We recently tested So Glow Magic Jar Mini Kit and it was a hit. So Glow Magic Jar Mini Kit (RRP£12.99) is where craft and toy come together. Kids use their creativity to assemble and personalise their glowing mood jars. Suitable for 6+ but some adult assistance may be required. The package contains three jars each with its own surprise figurine and magic sparkle (i.e. glitter, confetti, stickers and glow powder). There are six mood jars to collect. We received Cosmic, Chill & Dream. The other three are Love, Happy and Harmony. 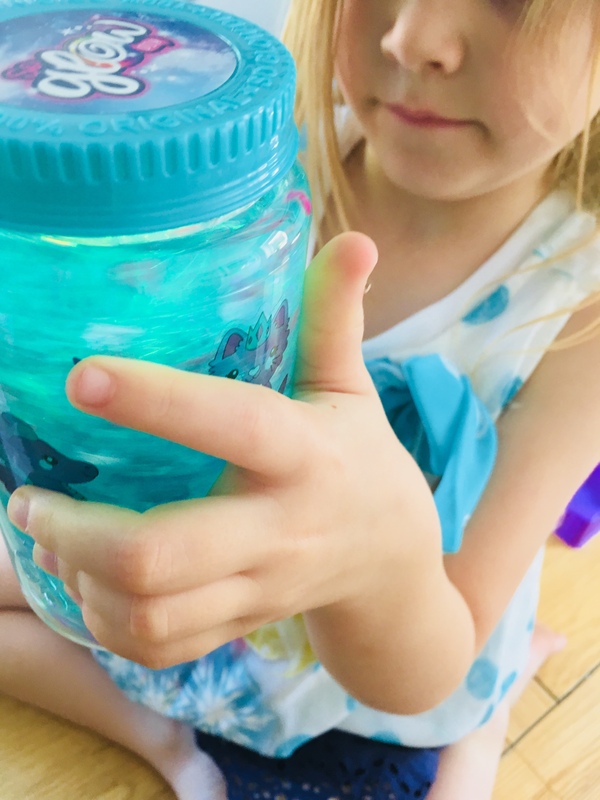 To assemble the magic jars, we poured in the dry contents, added tap water, switched on the button under the lid, closed the jars and decorated with stickers. We were totally wowed. Once shaken, the jars illuminated with a colourful glow that changed colour. At night, it was like a mini magical light show. They kids kept theirs close to their bed as a comforter. What we liked: The collectable figurines were adorable and there was just enough sparkle to give that magical feel when they swirled in the glow. What we didn’t’ like: Both kids felt it was tricky to get the stickers flat on the bottle, without air bubbles. Based on price point, the DIY fun and the sheer delight it gave, we give So Glow two thumbs up. 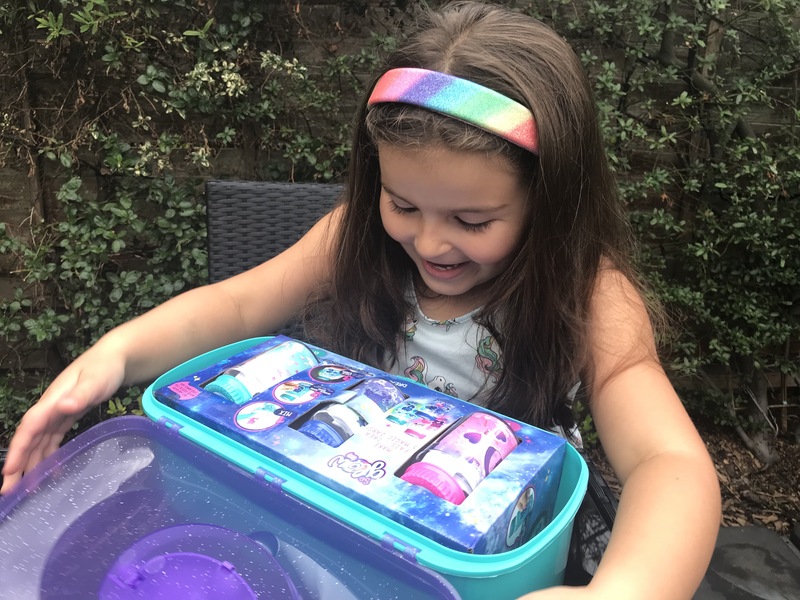 “My daughter loved the fact that the So Glow Magic Jar came with a surprise set of characters – and what girl doesn’t love stickers too! It really appealed to her creative side and she had great fun following the instructions. Jane played with it in the afternoon, but it really came into it’s own at night where the magic powder really does it’s work. So Glow DIY sets from Canal Toys are available to buy from all good toy retailers. Previous Post Wild swimming with Selkie Swim Co.